AMD’s Tonga GPU powers some great mainstream Radeon graphics cards, including the R9 380, which we recently hailed as the best card you could get for $200. 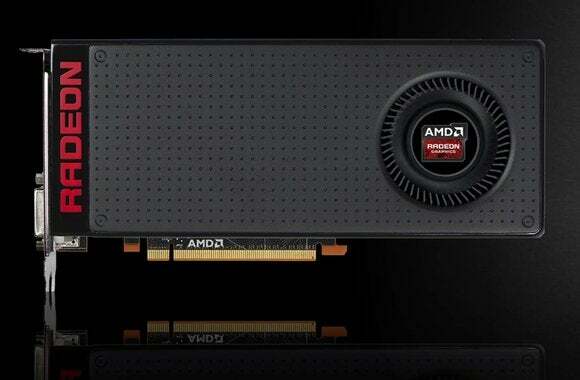 But it was AMD’s November release of the $230 R9 380X that was supposed to show the full power of Tonga, with all possible stream processors unlocked and firing away. But even that card wasn’t Tonga running on all cylinders. Last Thursday night, AMD confirmed to PC Perspective that the Tonga GPU was capable of a 384-bit memory width bus even though all Tonga-based cards came packing a 256-bit bus. AMD says it was never able to find that sweet spot of price and performance to offer a card with Tonga fully unleashed. Rumors that Tonga could handle a 384-bit bus began circulating in September 2014 after a report by the Japanese-language PC Watch. AMD’s first Tonga-based card was the R9 285, which rolled out in August 2014. Why this matters: Memory bus width is an important element in any graphics card. The bus is what lets the GPU talk to the RAM chips embedded on the card. The larger the memory bus, the more RAM a GPU can read at one time. The memory bus, along with memory clock speed, determines how much memory bandwidth a GPU has to work with. The better the bandwidth, the better the performance. Even though there’s a little more performance to be eked out of Tonga on an upcoming card, it’s unlikely we’ll ever see this. In 2016, the GPU world is widely expected to give up on the 28nm manufacturing process and move on to the smaller 14nm. (Finally!) Plus, Tonga’s biggest source of performance—the GPU cores—are already maxed out in the R9 380X. There's always a chance that a future refresh could unlock the extra memory interface, but Tonga seems set to end its run with the 380x and a 256-bit bus.